Practice agility and speed in a number of different ways. 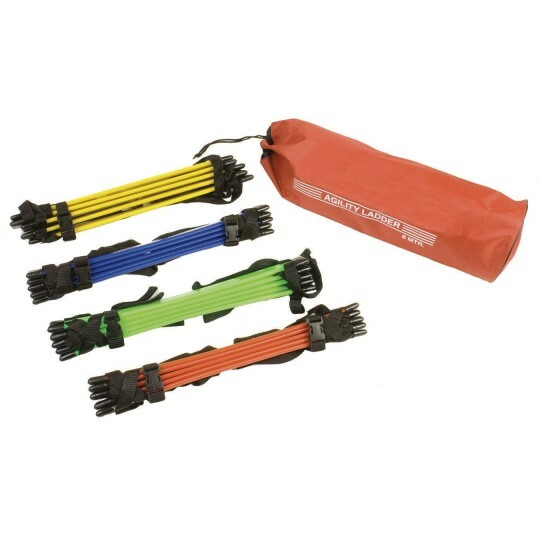 Sectioned Agility Ladder Set includes four 13 feet colored agility ladders. Place in a square, triangle, side by side, or straight line to make a 52ft agility ladder. Each ladder includes a handy plastic clip to secure the ladder after use. Includes carrying bag for easy transport and one ladder of each color: red, blue, yellow and green. Practice agility and speed in a number of different ways! The Sectioned Agility Ladder Set includes four 13 feet colored agility ladders. 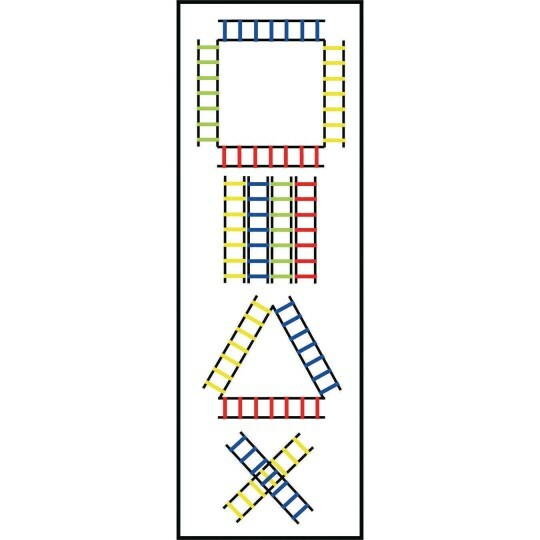 Place these ladders in a square, triangle, side by side, or in a straight line to make a 52 foot long agility ladder! Each ladder includes a handy plastic clip to secure the ladder after use. Includes a carrying bag for easy transport and one ladder of each color: red, blue, yellow and green. The rungs are equally spaced, secured to the side straps and their position cannot be adjusted. OMG!!! Love this ladder set! Great addition to our fitness equipment at school.